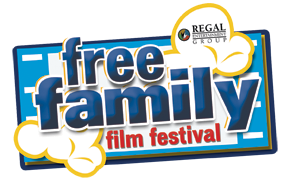 Has anyone been taking advantage of the Free Family Film Festival at Regal Cinema’s this summer? I keep forgetting, but this week with the temperature in the 100’s here in Portland, an air-conditioned movie theatre sounds lovely! Every Tuesday and Wednesday through August 26th Regal Cinema’s are offering free admission to G and PG movies at 10am. Seating is on a first come, first serve basis so get there early. Go here for a location near you and for their schedule of what’s playing. If you live near Portland/Vancouver and are still looking for some free movies then check out Around the Sun for a comprehensive list of free outdoor movies. I just love summer! Kristie, what time do the movies start? I have done the free bowling. Workded great, but you have to pay for shoes and I believe they were $4 per child. The City of Sandy has free movies in the park beginning August 1. They are also doing concerts in the park on Wednesday's and in the amphitheater on Sunday's. On another activity note, has anybody been taking advantage of the free Kids Bowling that was on here quite awhile back? We signed up but have yet to go, though I'm thinking maybe today or tomorrow. Any insight? problems with it working? lots of fun?